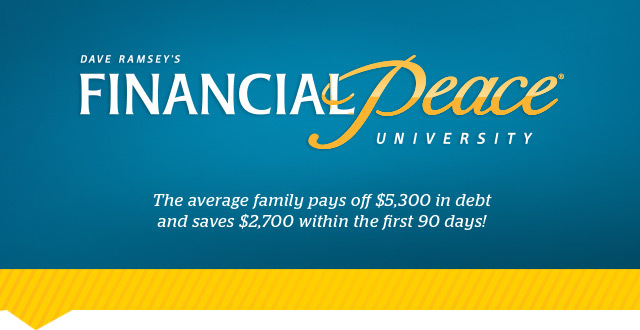 Financial Peace University (FPU) is a 9-week class taught by Dave Ramsey and facilitated by the leaders at Resonance Church. During this class, you will learn how to create a plan, work together with your spouse, pay off debt, save for emergencies, and more! If you are interested in being notified when the next FPU class is offered, e-mail us at hcruh1555821842c.ecn1555821842anose1555821842r@oll1555821842eh1555821842. Take this next step to change your financial life forever!